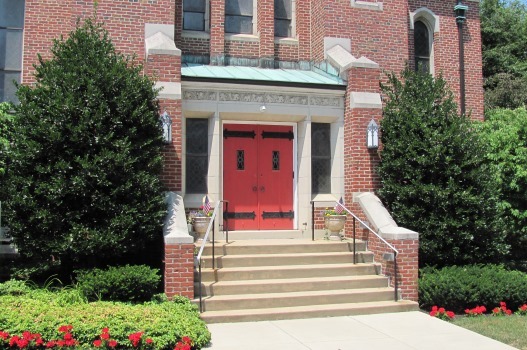 Grace Evangelical Lutheran is a community church in Shillington, Pennsylvania serving the surrounding area for over 100 years. During that time, we have sought to be faithful to the changeless Word of God in response to the ever-changing world around us. Come join us as we equip one another for mission and ministry in Jesus' name. "God's children called to serve and to proclaim the message of love and acceptance through Jesus Christ to a changing world." Listen to the sermon from Palm Sunday, April 14, 2019 using the controls below. Your browser does not support the audio element. Please update your browser. Listen to the sermon from Sunday, April 7, 2019 using the controls below. Listen to the sermon from Sunday, March 31, 2019 using the controls below. Listen to the sermon from Sunday, March 24, 2019 using the controls below. Click here to view special events. Click above to view our Facebook page. Click above to sign up for Electronic Giving.